The rise of evidence-based healthcare has put emphasis on finding specific evidence. Trying to find exactly the right article you are looking for can be vital especially when meeting a tight deadline or trying to find evidence for a particular treatment. This book from the Harnessing Health Information series shows the reader how to find the exact article quickly and efficiently. Fully referenced, it includes handy information such as acronyms with full descriptions and the available search tools. It looks at how novice users can find information in a straightforward and friendly way. 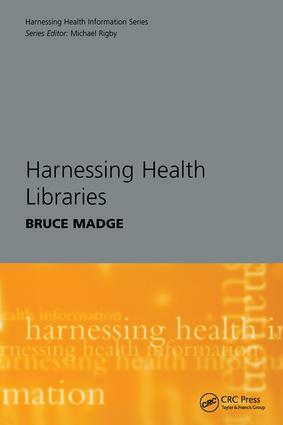 What is a health library? Understanding the library. Key special collections in health. Finding published materials. The reference enquiry. When it is not in the library. The electronic age. The future.